Hello, and welcome to the October issue of 'News from the Atoll". 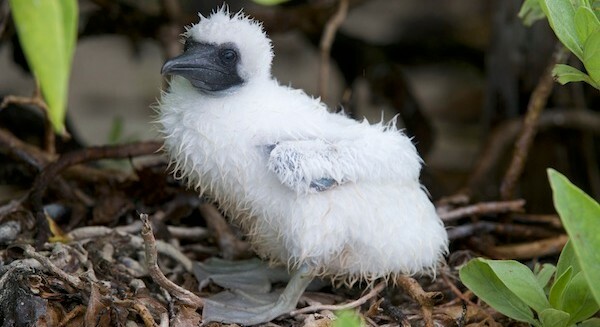 The big news this month is the progress of the 'atoll-changing' Habitat Restoration Project. 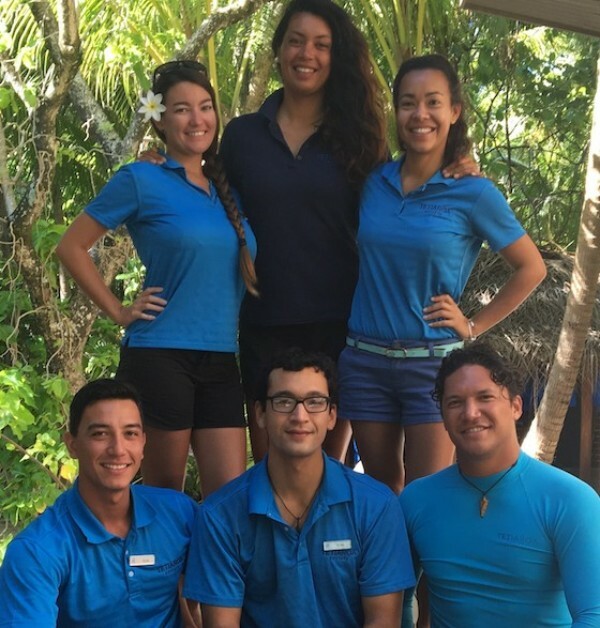 We also want to share some news about Tetiaroa's sharks as well as some info on our newest nature guides. Enjoy your read! 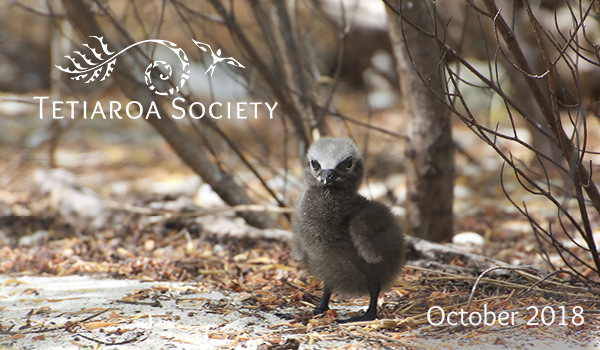 The Habitat Restoration Program on Tetiaroa Atoll is underway. A major goal of Tetiaroa Society is to have an atoll where the motu habitat has been restored to as close to its original native form as possible. To that end, the removal of invasive species and restoration of native species is a priority. The Tetiaroa Habitat Restoration Project (HRP) focuses on the most significant invasive species on the atoll – the ship rat and the Polynesian rat – which severely reduce the native bird population, and also impact sea turtles, crabs, plants, and marine life. To date, the only eradication of rats was done on Motu Onetahi before The Brando Resort was built. Last month the project passed a milestone when eradication work was completed on Motu Reiono. 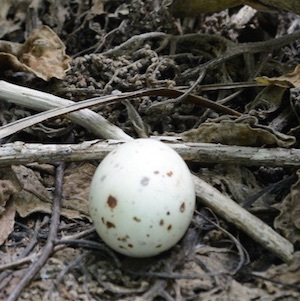 An international consortium (Island Conservation, Royal Society for the Protection of Birds, Auckland University, and Tetiaroa Society), lead by Dr. Araceli Samaniego, have been working there for over a year to determine the best strategy for rat removal. In August the plan was put into action with help from Tetiaroa Society staff and volunteers from the ornithological association SOP Manu. By early September, there were no sign of rats on the motu. The final results of this program will aid in rat eradication projects throughout the tropics. The next step in Tetiaroa will be to remove rats from the much larger Motu Rimatuu and therefore secure the southern half of the motu. Tetiaroa Society is now working to fund this next step which will lead to a future eradication on all of the northern motu. With both species of rat successfully removed, Tetiaroa would become a sanctuary for not just native birds, but also other native fauna and flora. This would open the potential for transplanting rare and threatened species of birds and plants to the island to protect and nurture their populations. 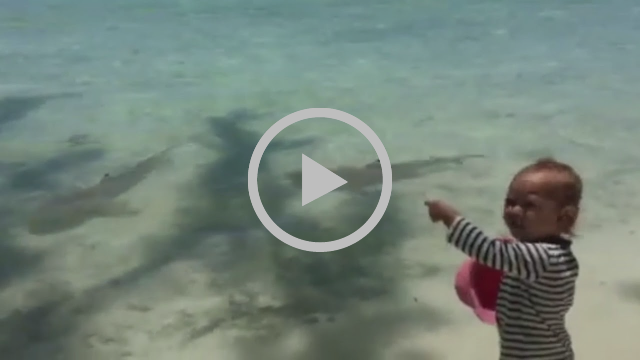 Baby sharks are thriving on Tetiaroa. Baby sharks everywhere, swimming along the beaches of Tetiaroa. These days at sunrise or sunset you can easily observe baby sharks swimming along the beaches of Tetiaroa, the shallow water protecting them from large predators. It is hard to imagine that these small and vulnerable creatures will become one of the greatest predators of the oceans and also a fundamental element in the coral reef ecosystem. The most common species on Tetiaroa are black tip sharks and lemon sharks. In fact the atoll is a nursery habitat for these two species. 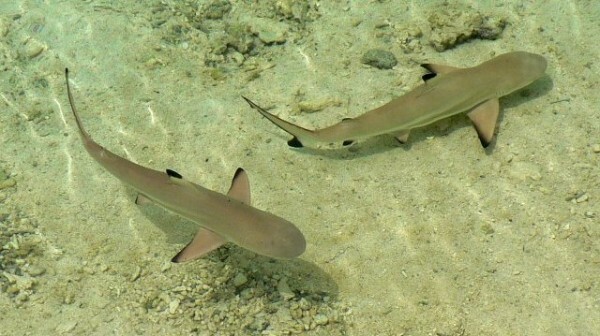 The female sharks use "hoa", water passages between two motu, as birthing sites. These species are viviparous (birthing live young), each female black tip producing up to 4 babies, and lemon sharks producing up to 12 young. A new duo in the Guide Team. This month we welcomed two new members to our guide team: Vanille Thullier and Teva Beguet. They both have profiles that fit perfectly with their new jobs. These two new guides are now an important part of the team and will undoubtedly contribute to the growth of Tetiaroa Society. 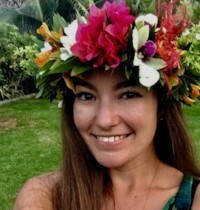 Vanille obtained a Bachelor's degree in Biology at the University of Bordeaux, and a Master's degree in Environmental Engineering: Preservation, Management and Conservation of Ecosystems at the University of Pierre Marie Curie in Paris. Obviously her training in school align well with the main mission of Tetiaroa Society. Teva obtained a Bachelor's degree in Marine Biology at the University of Quebec. 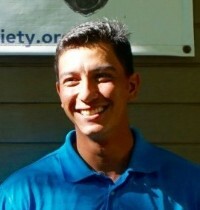 He has done an internship on fisheries management in British Columbia, and another one on the consequences of Marine Protected Areas at the Center for Island Research and Observatory of the Environment (CRIOBE) . Teva also feels like a fish in the sea with Tetiaroa Society.